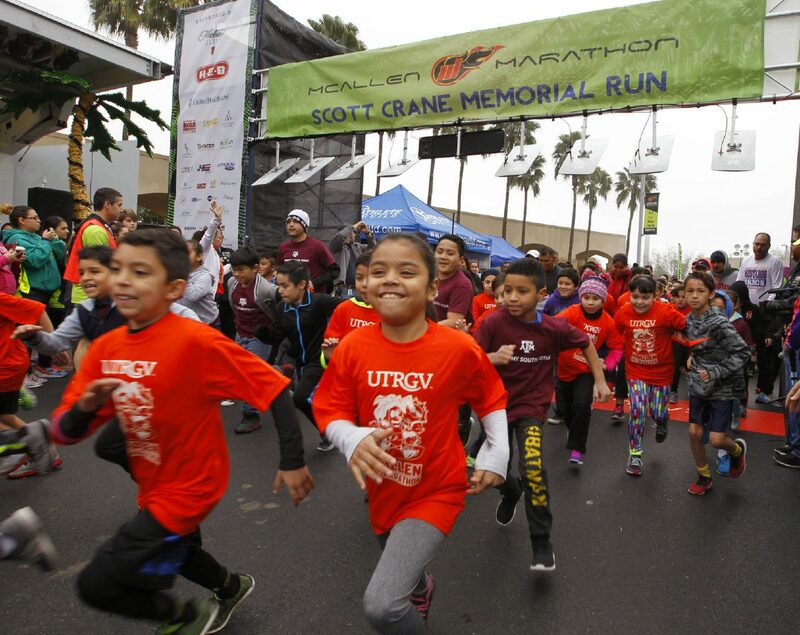 The first wave of children, city and school officials start the last mile of the McAllen Kids Marathon Saturday, January 20, 2018, at the McAllen Convention Center. After our region was repeatedly named the “most obese” community in America several years in a row, our local leaders made a concerted effort to change that. And they recognized that it begins by changing the mindset of our children, so that they don’t grow up to be sedentary, fat and unhealthy adults. With an estimated one in three children obese, McAllen ISD officials have aggressively pushed its students and PE coaches to be healthier. They stress ways for children to eat more nutritious foods, be more active, involved in exercise on and off campuses, and have tried to instill in them a healthier life attitude that hopefully will carry with them throughout their days. In executing these objectives, McAllen ISD rightfully caught the attention of the Alliance for a Healthier Generation, which last week honored the district with the most Silver Medal awards of any district in the country, and was named among America’s healthiest schools. Eighteen McAllen ISD schools earned Silver Medal awards, Alliance officials announced May 16. In addition, all 32 McAllen ISD campuses were named on the National Healthy Schools Awards list for the fourth consecutive year. 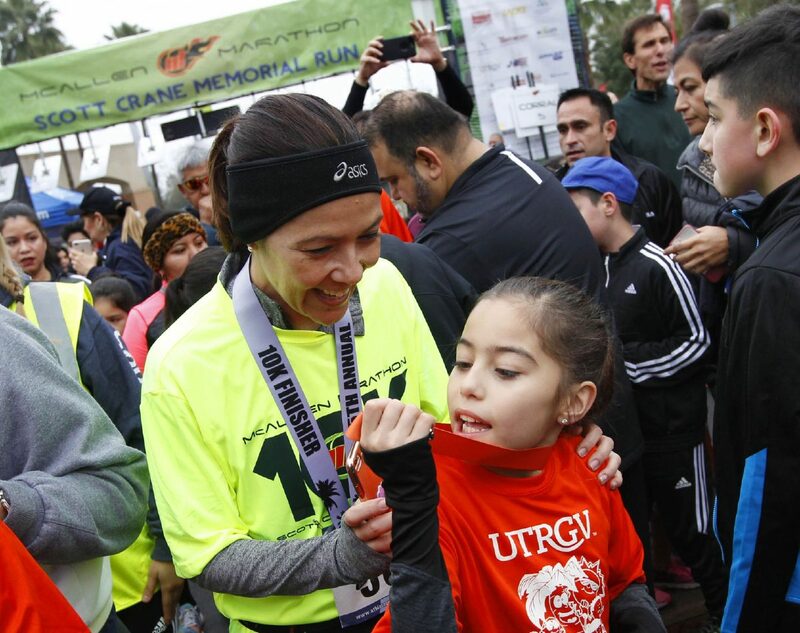 Elisa Arellano, 9, shows off her McAllen Kids Marathon medal to her mother Karina Bautista, who ran the 10k race, after crossing the finish line Saturday, January 20, 2018, at the McAllen Convention Center. Children spent the fall running to complete 26.2 total miles Saturday when they crossed the finish line of the kids marathon. William Garza, left, 11 nears the finish line of the last mile of the McAllen Kids Marathon next to 10-year-old Robert Sharpe on Saturday, January 20, 2018, at the McAllen Convention Center. 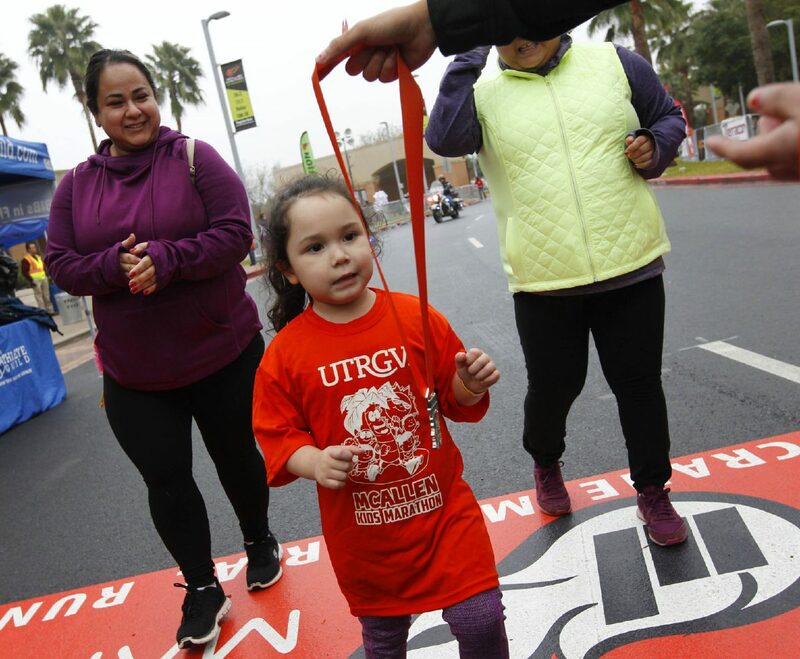 Children run under the banner at the start of the last mile of the McAllen Kids Marathon Saturday, January 20, 2018, at the McAllen Convention Center. Olivia Klebahn, 5, collects her McAllen Kids Marathon medal after crossing the finish line with her mother Kelly Chapa, left, Saturday, January 20, 2018, at the McAllen Convention Center. Grace Rodriguez, 8, sprints to the finish of the McAllen Kids Marathon Saturday, January 20, 2018, at the McAllen Convention Center. 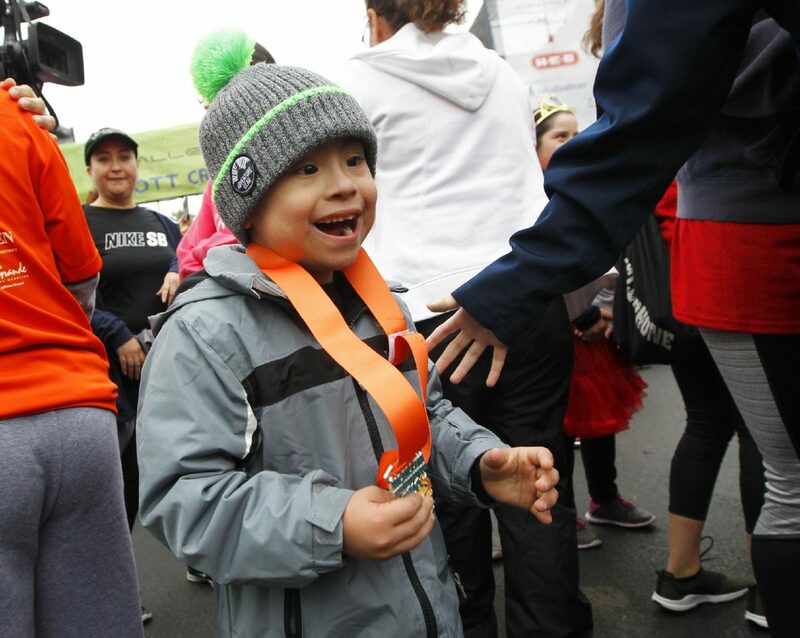 Samuel Gomez, 7, reacts after receiving his medal in the Capable Kids portion of the McAllen Kids Marathon Saturday, January 20, 2018, at the McAllen Convention Center. The 12 elementary schools that won Silver Medal awards are: Alvarez, Bonham, Castaneda, Escandon, Garza, Hendricks, Jackson, McAuliffe, Navarro, Rayburn, Sanchez and Seguin; the six middle schools that won these awards are: Brown, Cathey, De Leon, Fossum, Lincoln and Travis. Congratulations to all the students, staff and families of those campuses. We are proud of this district’s success and we hope other districts in the Rio Grande Valley will take embark on such an initiative to help make their students healthier. Alliance officials tout that children who are healthier and fit, tend to be more productive learners and better overall life outcomes. We can’t help but note, also, that part of the fitness success of McAllen ISD is due, in part, to its commitment to the McAllen Kids Marathon, which The Monitor has helped to co-sponsor. 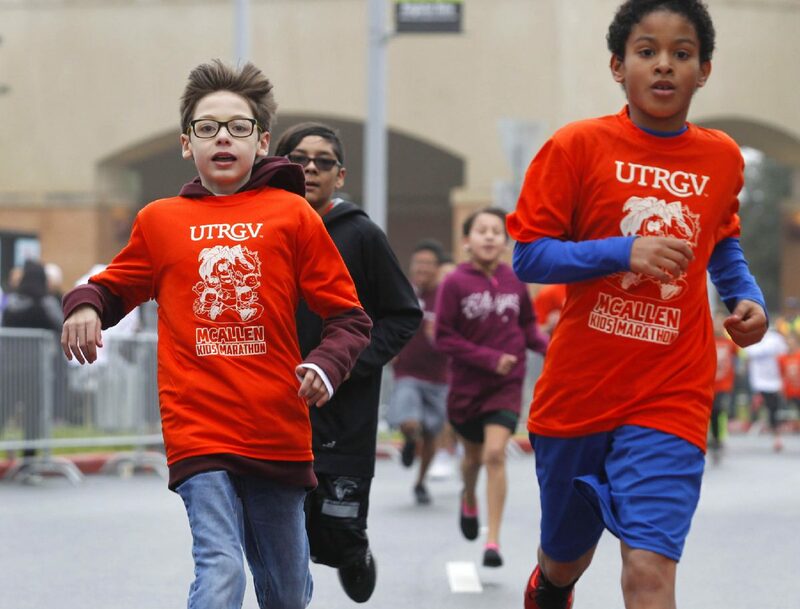 More directly, the McAllen Kids Marathon has been in existence for four years and that is exactly the same amount of time that these McAllen ISD schools have topped this U.S. healthy schools list. McAllen ISD even was the first school district in the nation to have 100 percent of its schools recognized under the former Let’s Move! 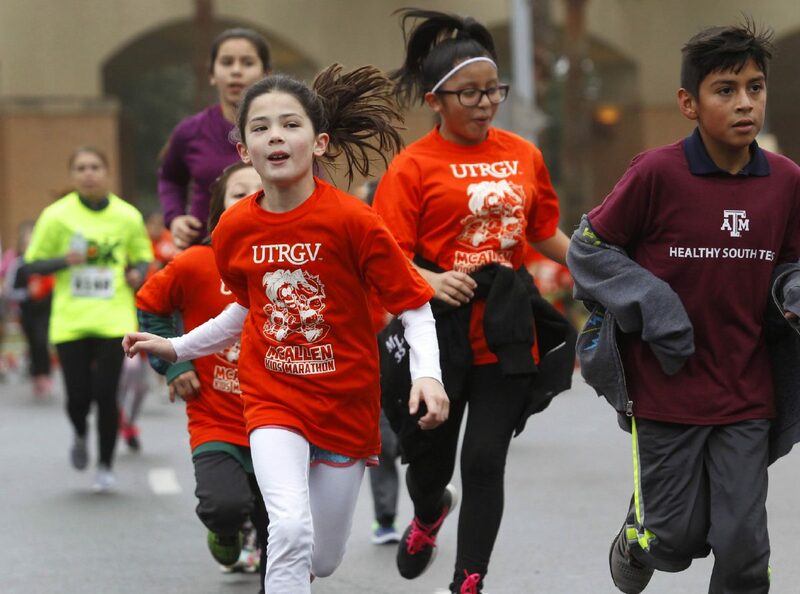 Active Schools program — in large part due to its participation in the McAllen Kids Marathon. 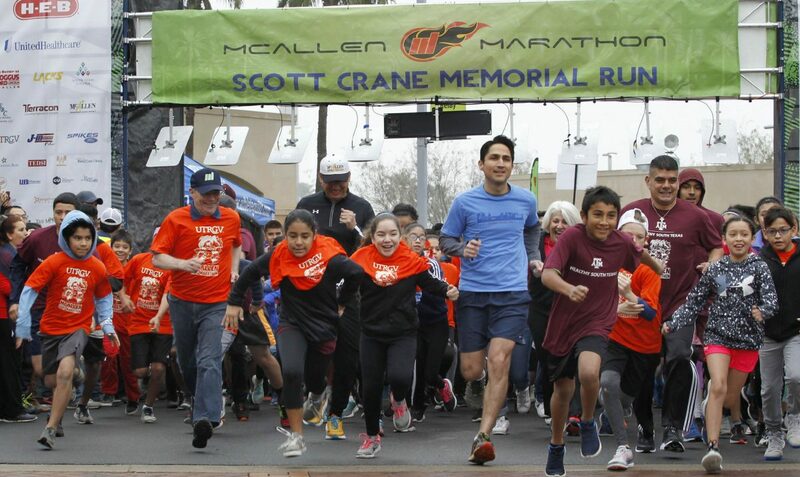 School leaders already are preparing for the next McAllen Kids Marathon Kickoff Mile in September, which will mark our fifth year offering this free training program event. So as schools let out and children are home for the summer, we hope families will take the time to run (or walk) together in the evenings or early mornings and begin practicing for this event, which promises to be tons of fun. More importantly, it emphasizes how great incorporating daily fitness feels. Maybe this feeling will spread to our adult population, as well. At least we hope.